Kids love gadgets almost as much as they love Legos, so for the company to release a line of brick-infused cameras, MP3 players and walkie-talkies is just good business sense. But wait! There's a catch. Despite the branding and look of the devices, which will be accompanied by a secondary line of larger items like boom boxes and alarm clocks, they aren't actually made of bricks, or at least ones that you can disassemble. 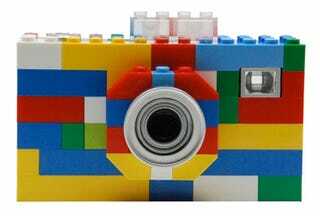 It's obvious that a digital camera or MP3 player couldn't be completely or sturdily constructed out of Lego bricks, but to sell a Lego toy that can't be disassembled at all is just... out of order.